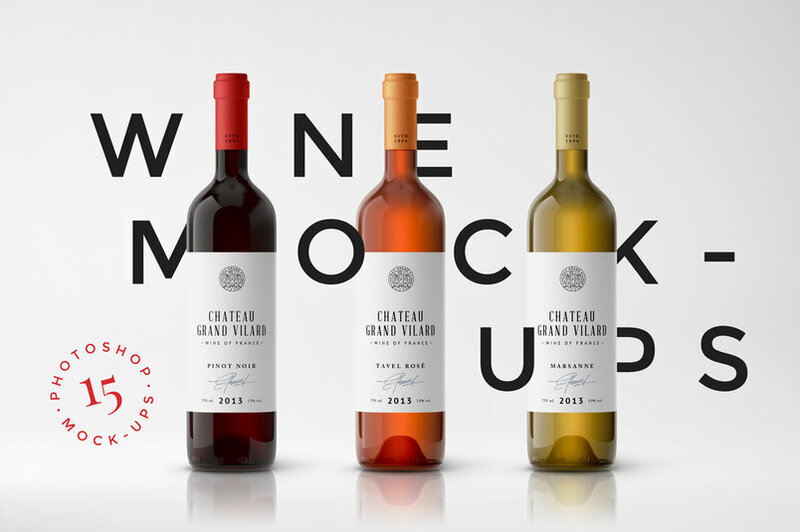 Here is a collection of some of the best free and premium Wine Bottle Mockup Templates in Photoshop PSD for designers to showcase wine label designs professionally and in style. 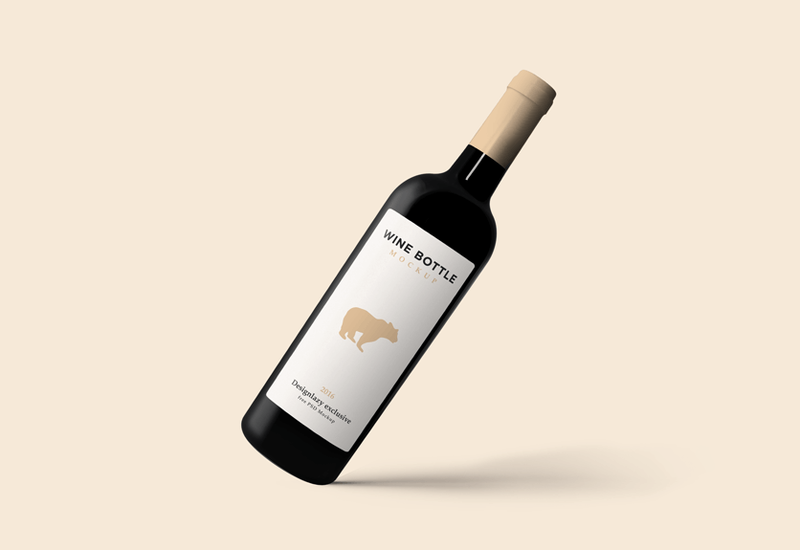 The post contains not only single wine bottle mockup but also sets of wine bottles mockups with different angles, stages, backgrounds and textures. 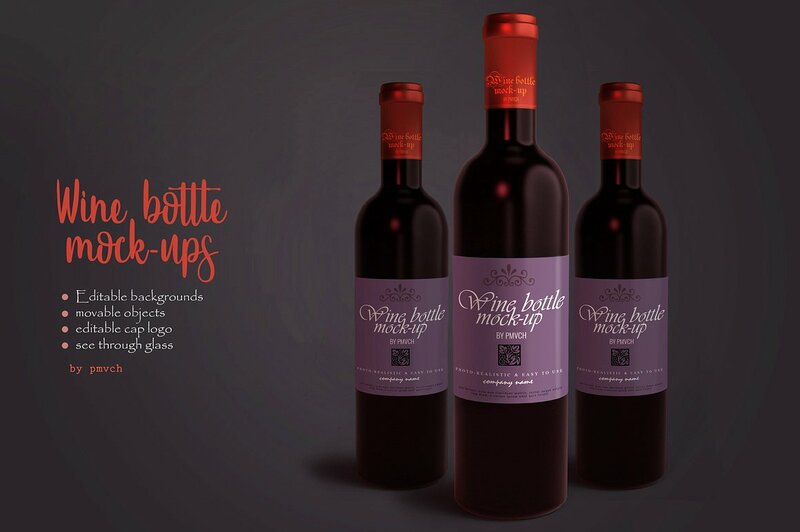 Each wine bottle mockup listed below comes with smart objects for easy customization and placement of your own designs. share this post with all friends and help it growing. 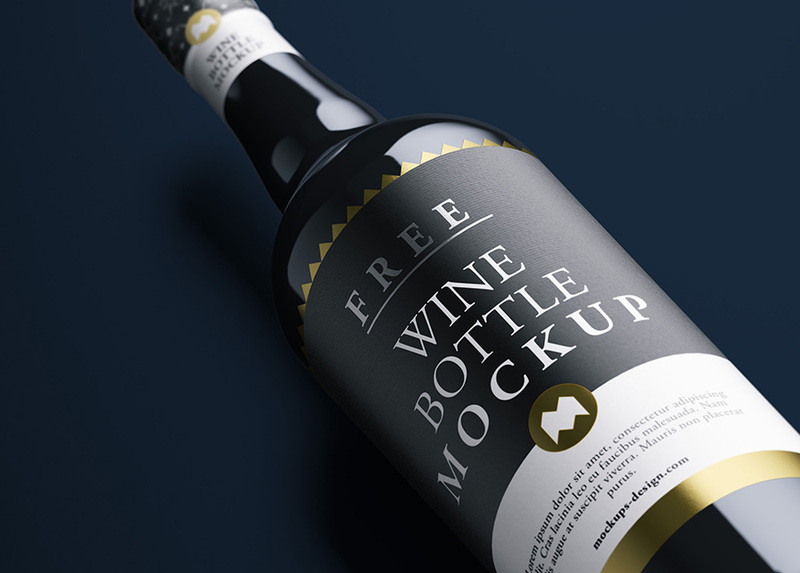 Free Brand Black Bottle Mockup PSD which is crafted through the latest ideas and designers can get the desire presentation via smart-object layer. 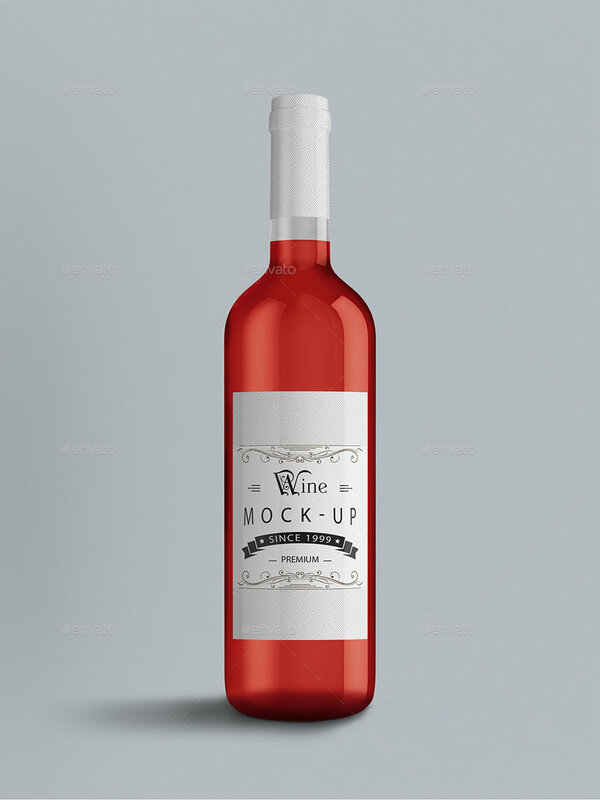 This mockup is made to market your respected stuff in a perfect manner and to gain the goals as rapid as your desire. 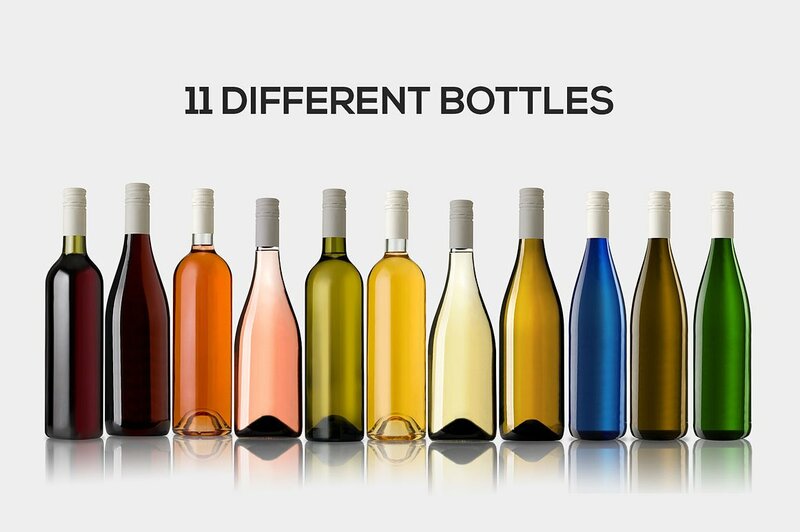 Each bottle can be re-arranged to make unlimited new scenes. 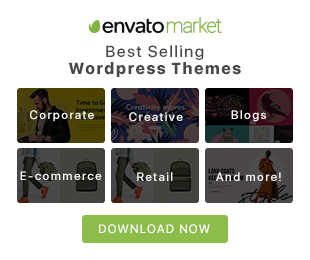 Use the smart layer to drop your designs. 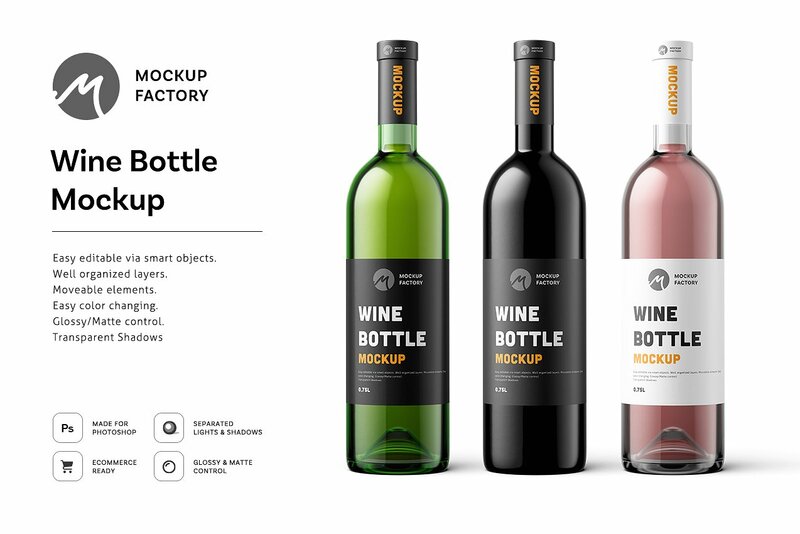 Simply copy and paste your design in smart object and save it. 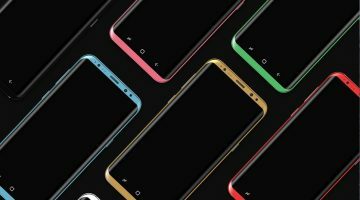 You can easily change colors of every element to make it your own. Play with lights and shadows to achieve better results. 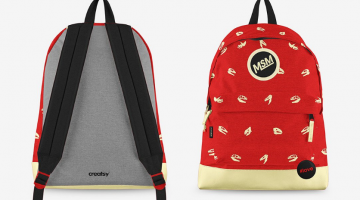 The file includes special layers, smart objects and a layer with textured gold. 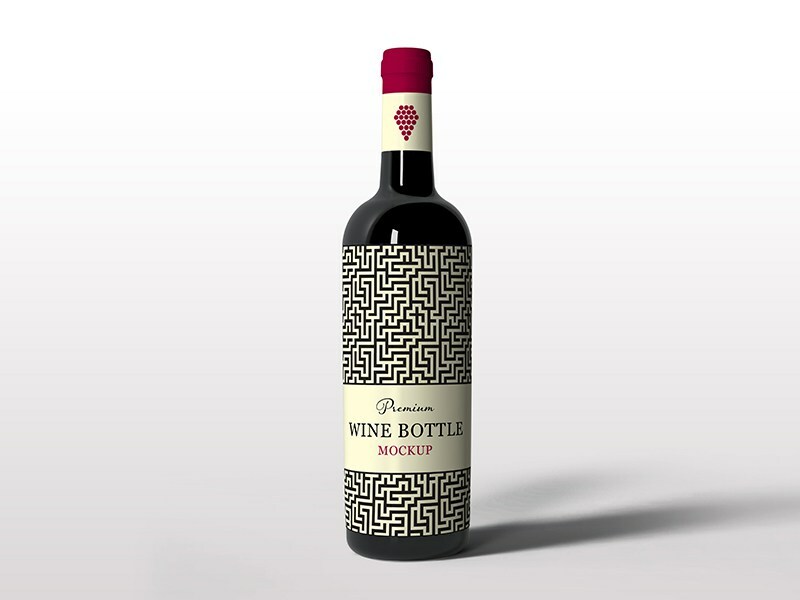 Smart objects allow you to apply your design to the top of the bottle and the bottle itself. 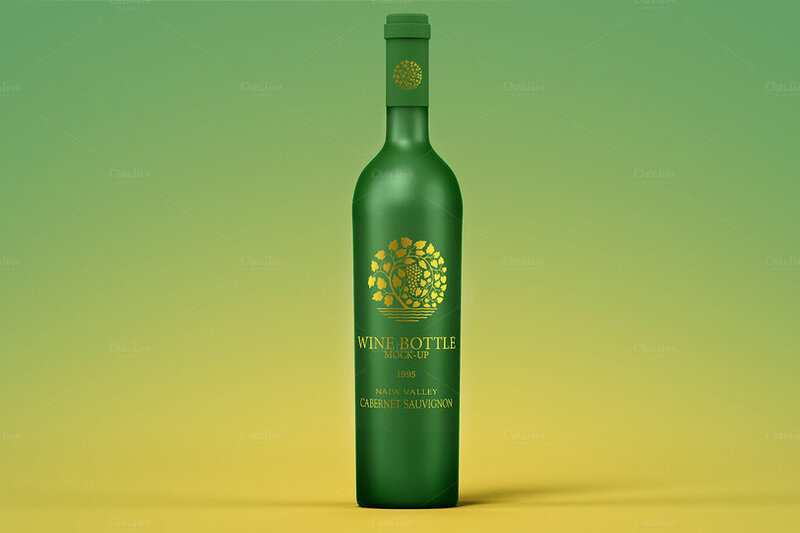 Showcase your work with this high-quality mockup of an antique green wine bottle. 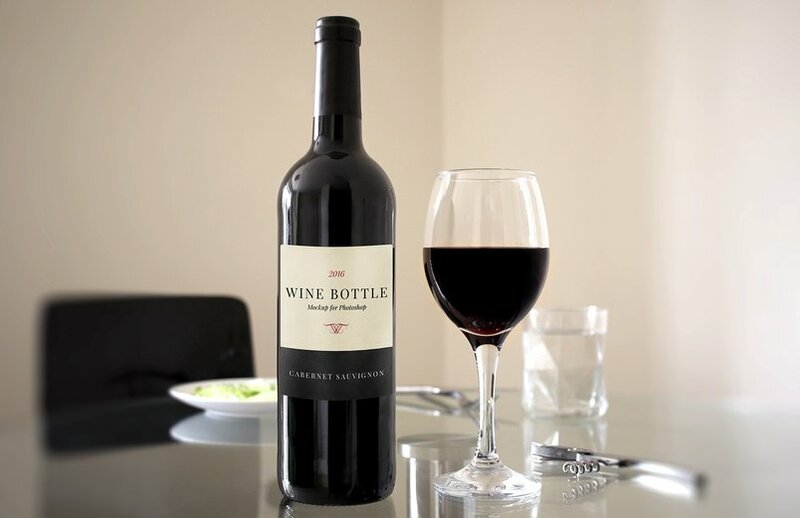 The bottle’s content is not editable. 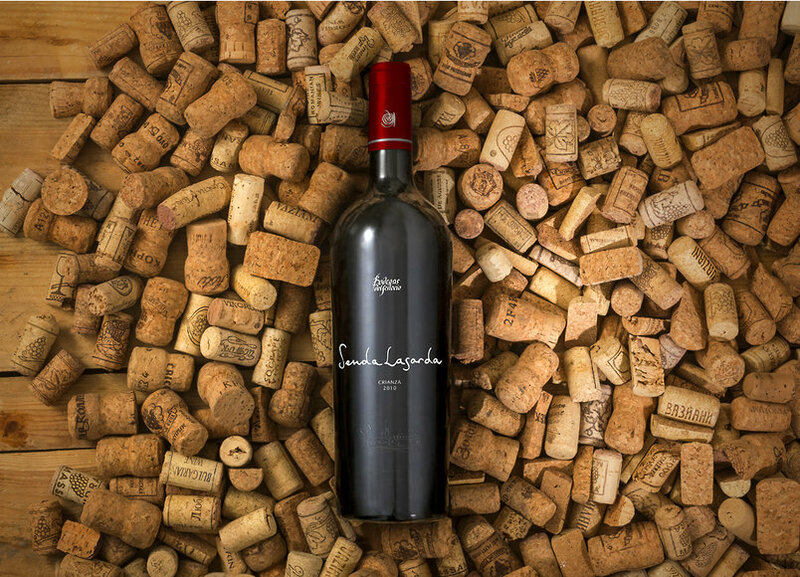 Premium quality. 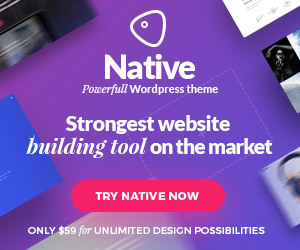 Incredibly simple to use. 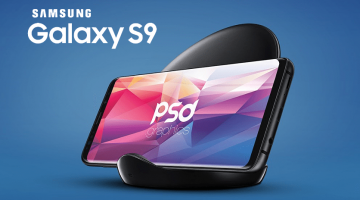 Includes special layers and smart object for your design. 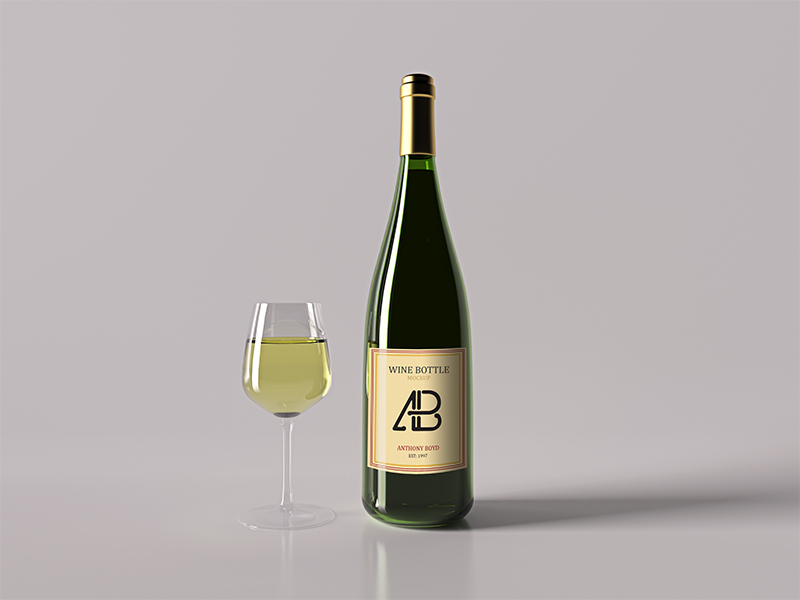 This half-liter bottle of White wine is great for presenting your projects to your customers or demonstrating your work in your portfolio. 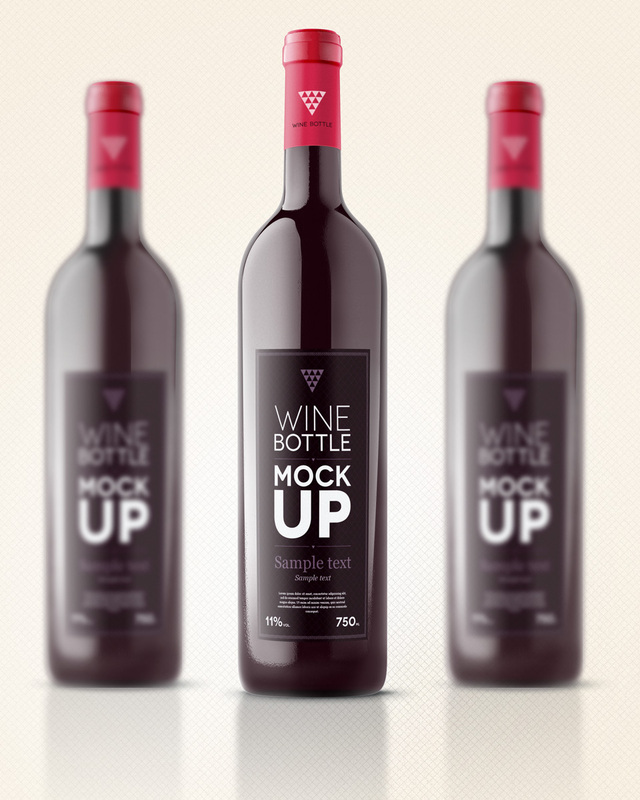 Realistic Wine Bottles Mockup Pack. 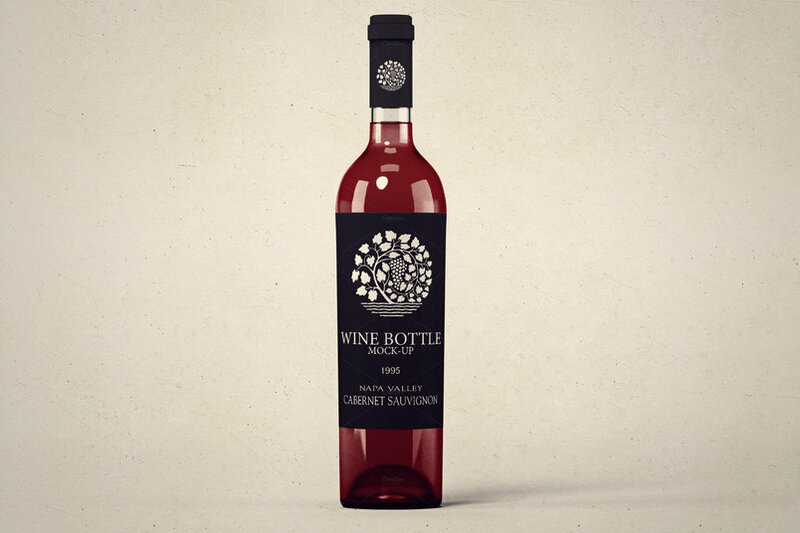 7x scenes to make realistic wine bottle mockups. 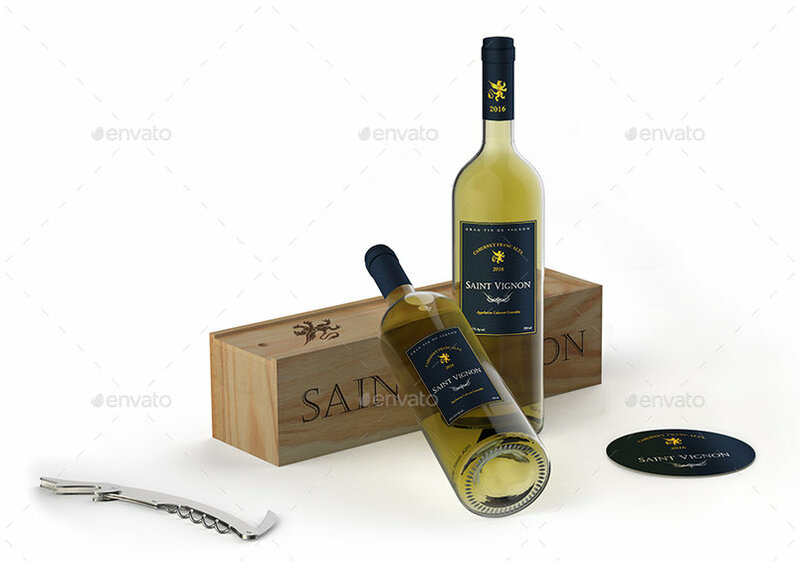 Elegant photograph based wine bottle (and accessories) mockup, perfect for presenting wine related graphics and can serve as a product shot of your wine. 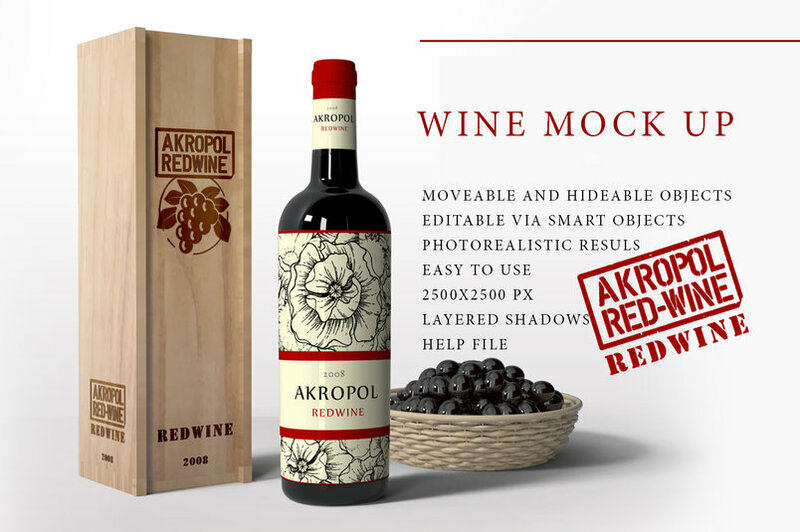 6 photorealistic presentations With smart objects, easy to paste into your design 6 PSD Files Included High resolution 3000×2000 pixel RGB Color Mode / 300dpi With smart objects, easy to paste into your design Displacement map for wrapping paper Best organised layers. 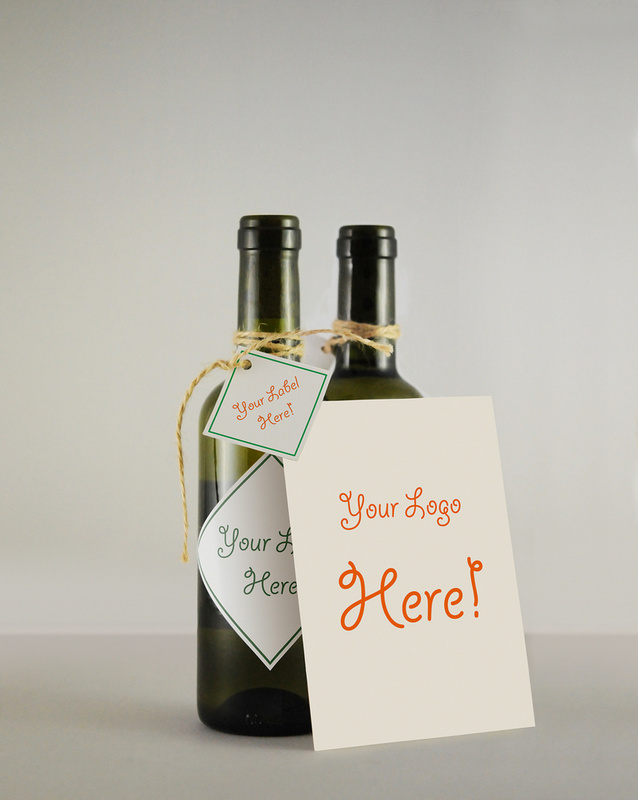 A realistic scene mockup including 2 wine bottles and & greeting card that you can use to create a neat presentation for your label design. 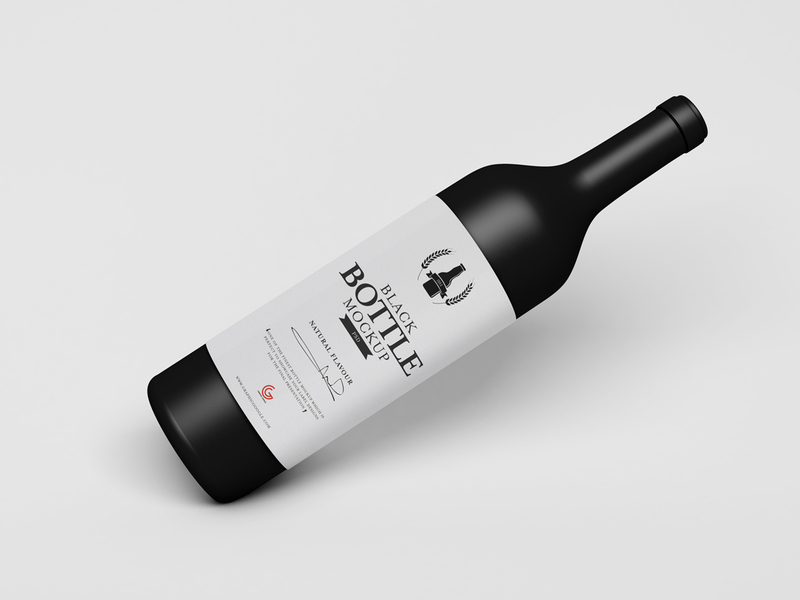 The PSD file is fully layered allowing you to display the entire arrangement or just a singular bottle. 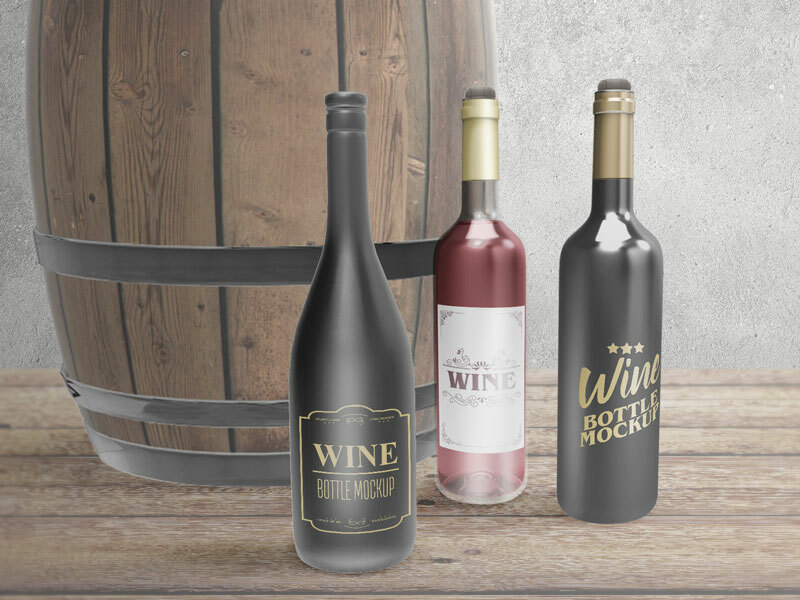 With 32 PSD mockup scenes this Wine set, will equip you with everything you need to present your Wine label design in the most professional way. 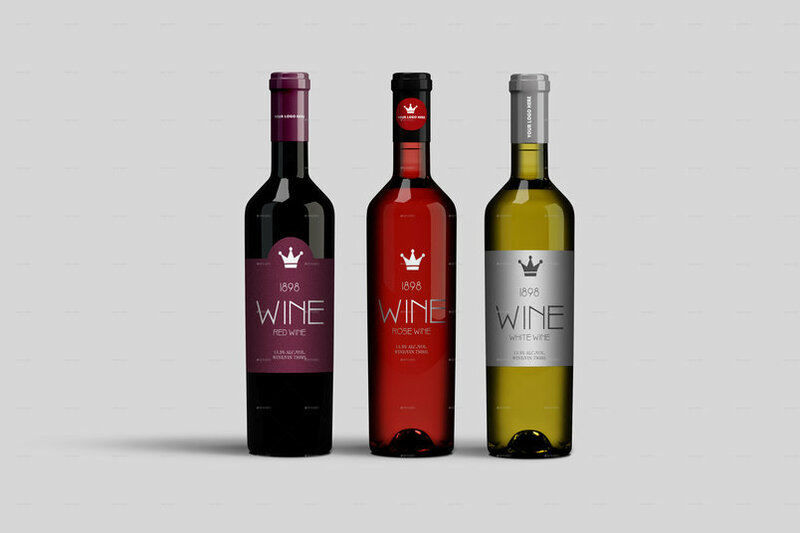 It consists of 3 wine types (Red wine, White wine and Rose). 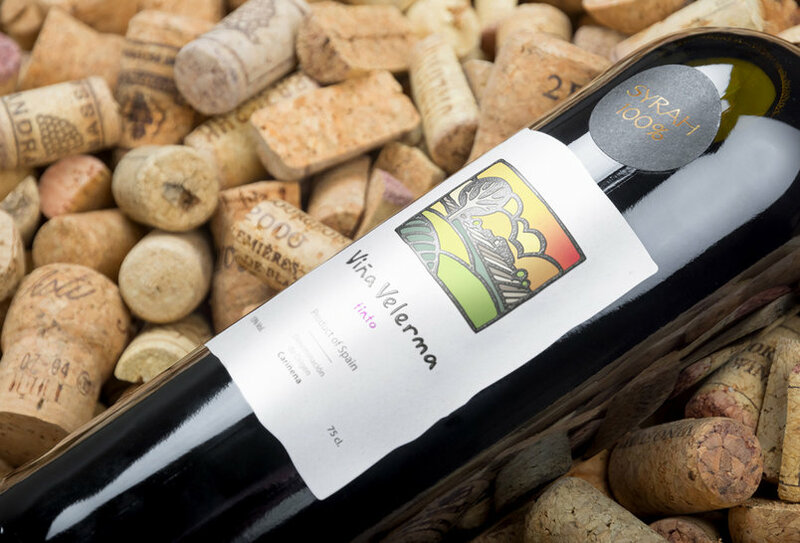 Every wine type is photographed on dark and light background and the bottles are ‘’shaped’’ with soft and carefully positioned light to point out the elegance of the wine. 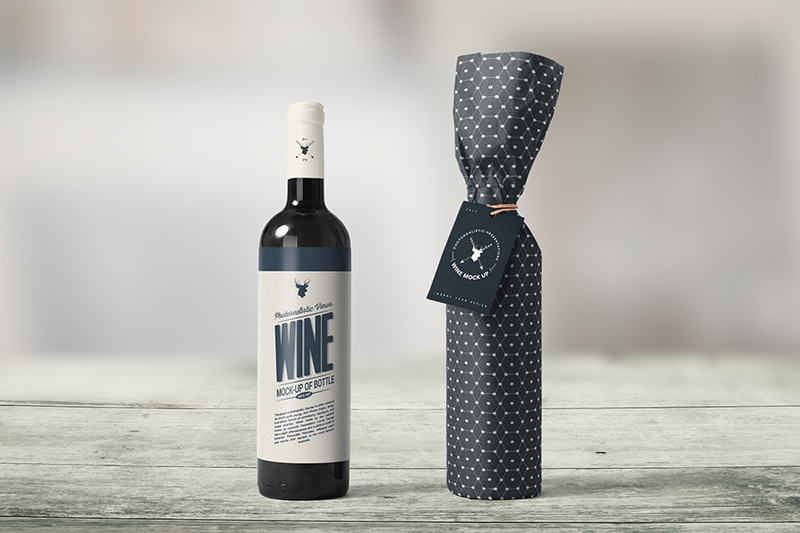 Along with Wines on dark and light background, there is very representative wine packaging you could brand with any kind of design. To top it off we added 12 professionally arranged scenes with different food types creating some really eye grabbing results. 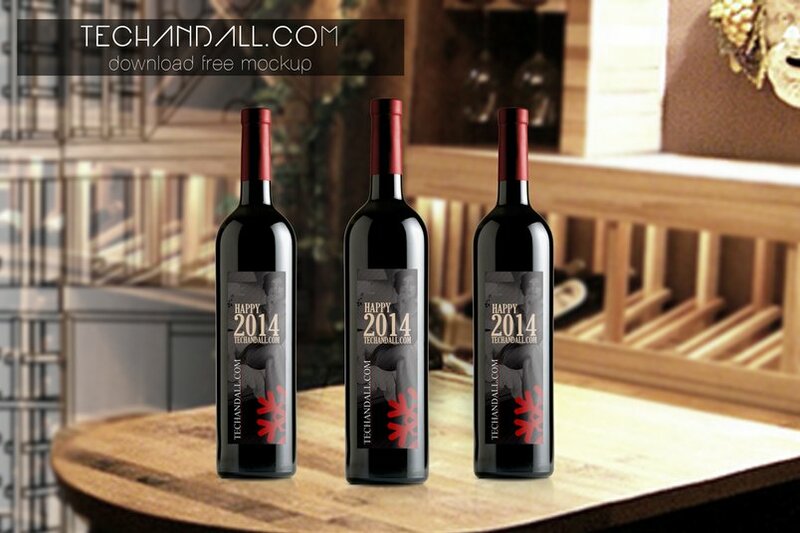 Use this realistic PSD to showcase wine label designs professionally and in style. 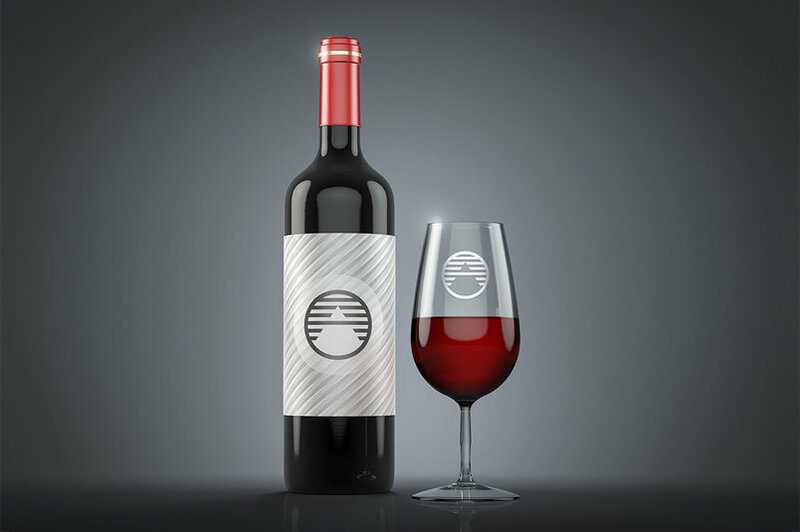 Use the smart object layer to apply your own design. Free for both personal and commercial use. 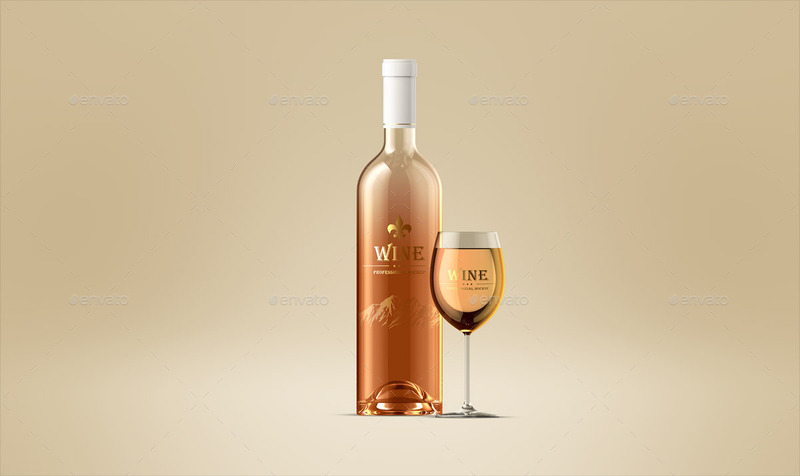 Fresh Wine Bottle Mockup PSD. 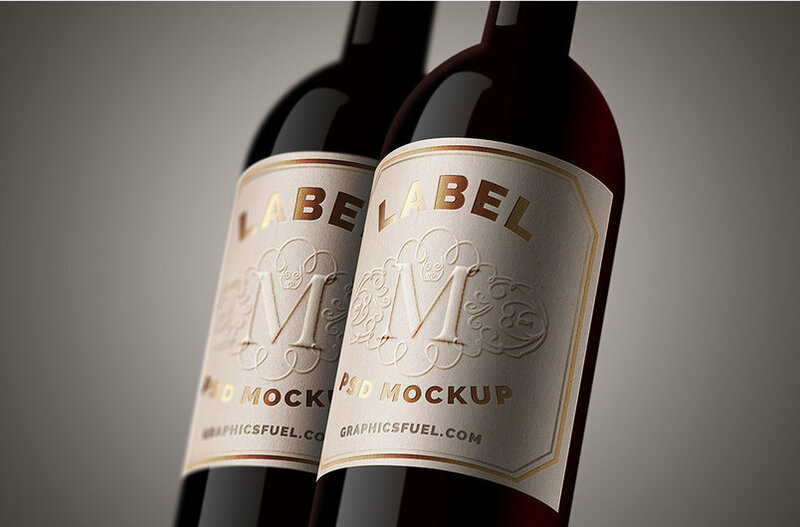 This is a great way to showcase your label design. 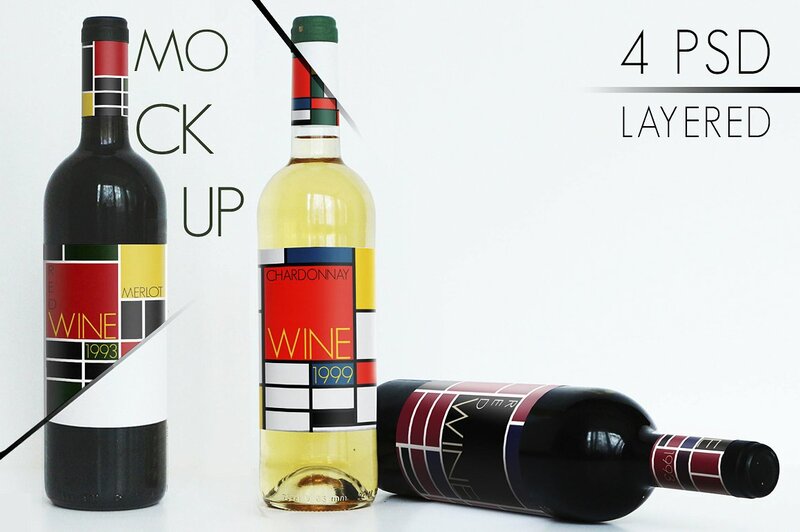 Use the smart layers to add your own graphics. 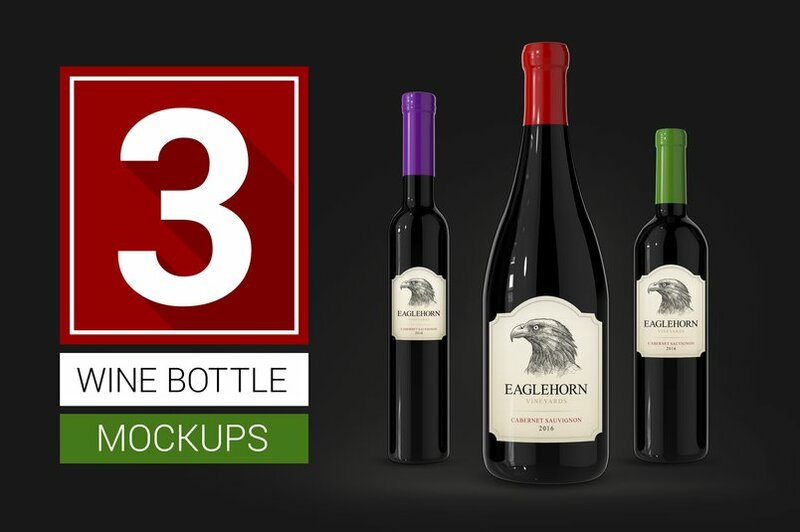 Free wine bottles mockup which consists os three kinds of a wine bottle that you can place your label design there. 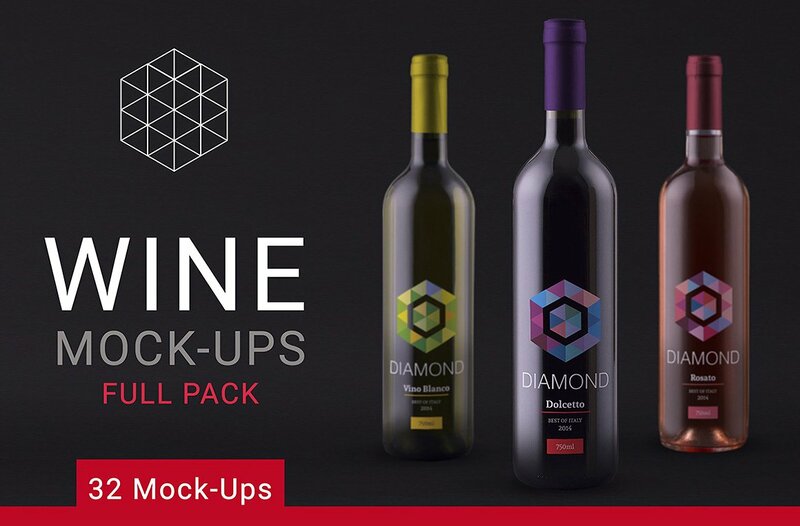 Easy customizable with separate adjustments, background and the mockup object itself, so you can change and put your own background and add another object easily. 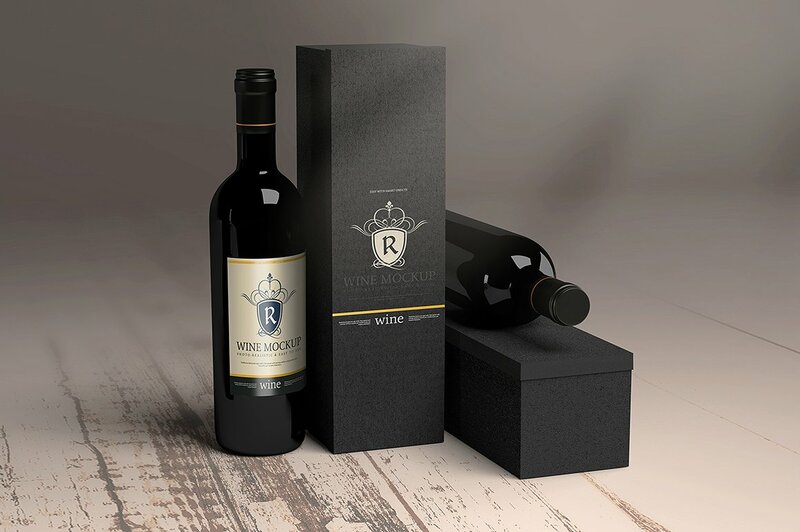 The pack contains 11 high resolution wine bottles with changeable capsule, label, background and predefined filters. 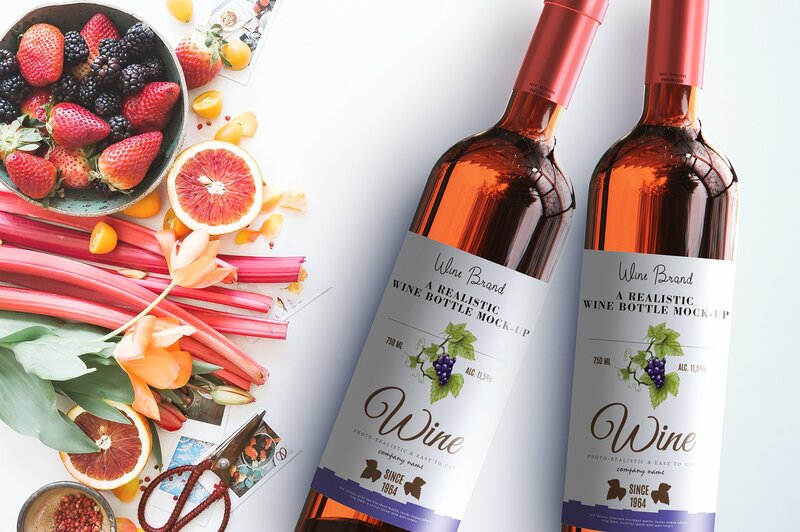 The FREE version is the burgundy shaped rosé bottle. A clean, photorealistic collection of wine packaging mock-ups that will help you showcase your wine branding projects. 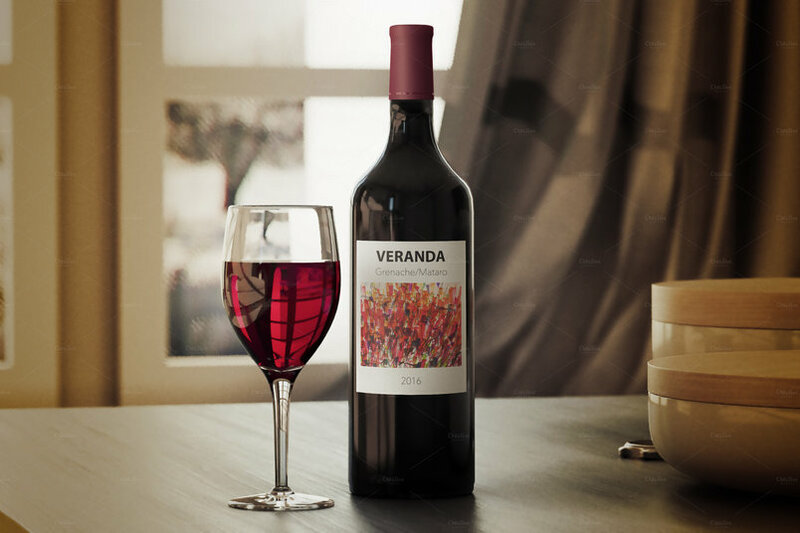 The PSD scenes are fully editable: you may change the background, the color tint of the bottle, rearrange the objects and add your own label designs via the smart objects. 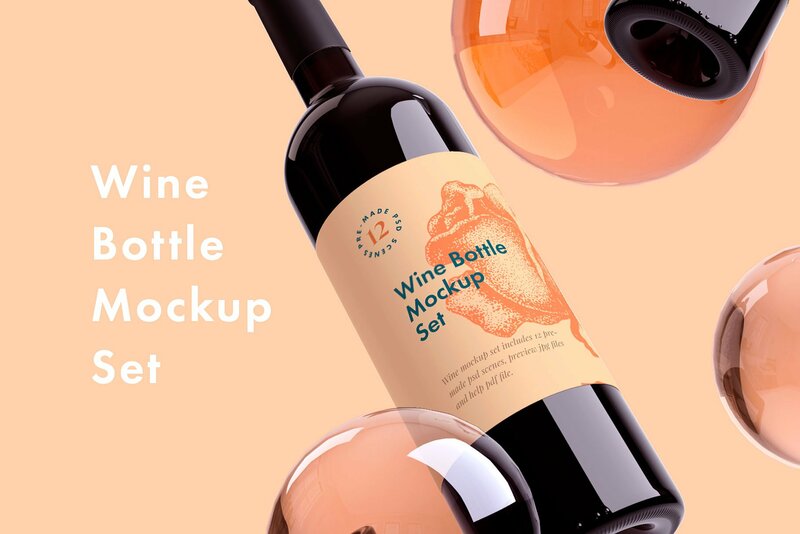 Vignon is a studio mockup kit. 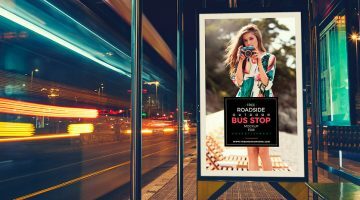 It will assist you during the development and the presentation of your graphic proposal. 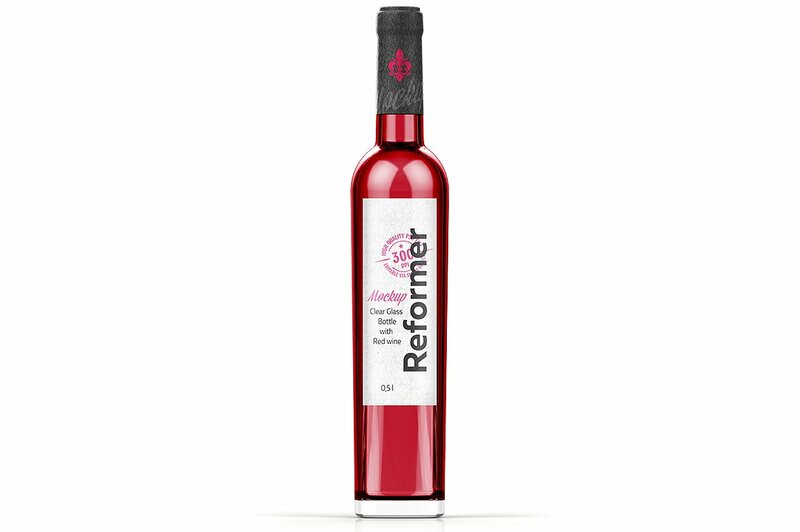 It has been developed for professional use in order to optimize your ideas presentation. 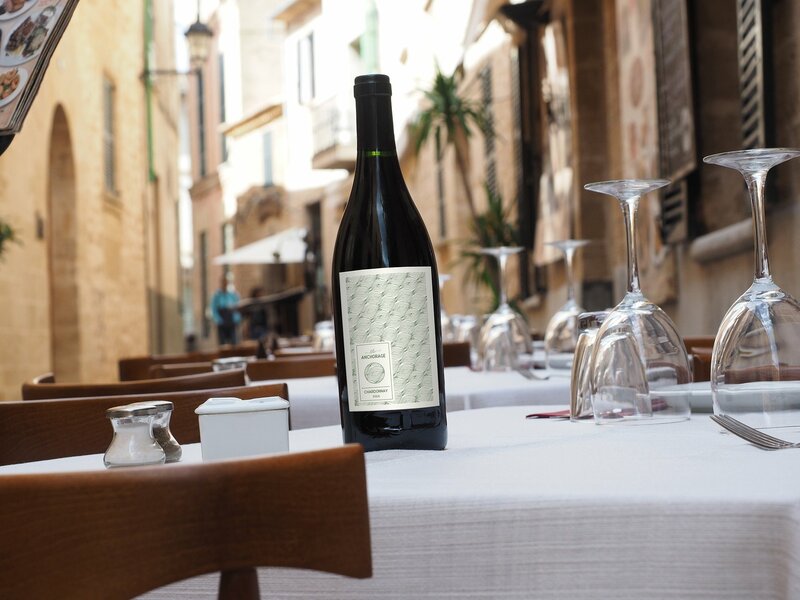 A rustic, in situ wine bottle to show your client’s label at the ready. 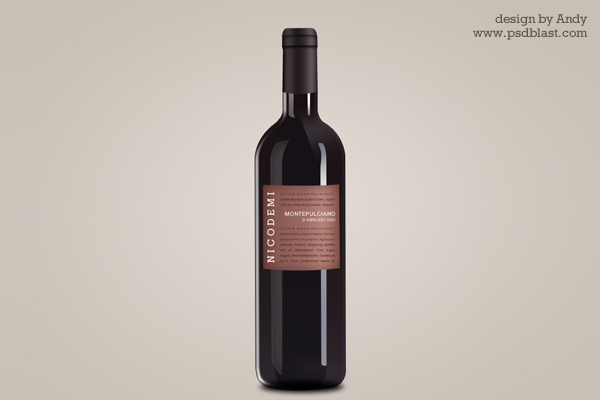 Realistic shadows and texture make the label glow. 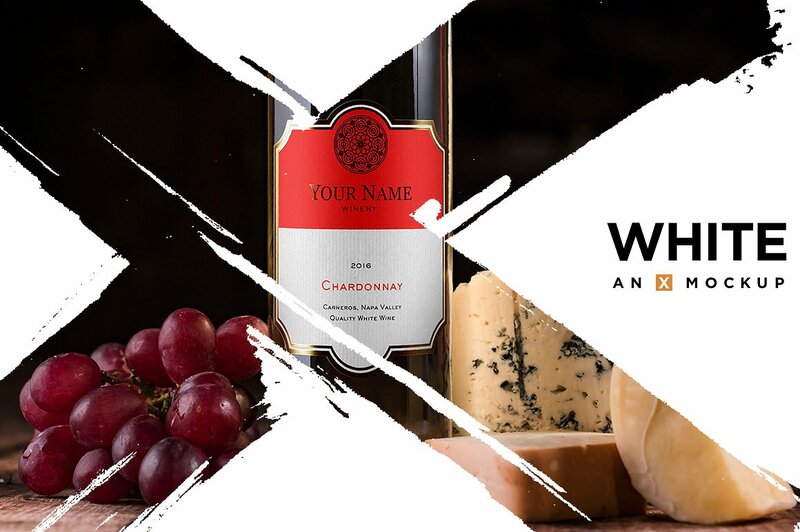 Use this red wine bottle mockup to showcase your custom label designs in a real world dinner table scene with wine glass and corkscrew in the foreground, and other details in the background. 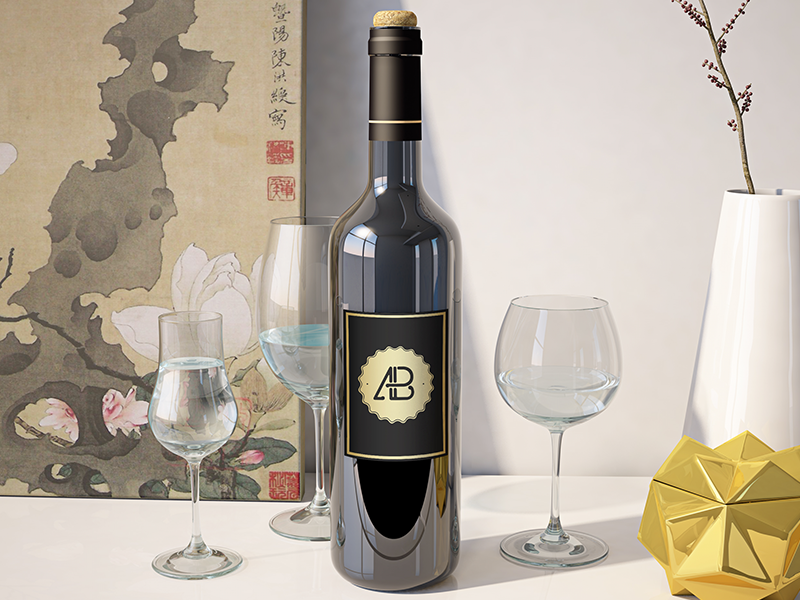 To update the mockup, just place your artwork into the included Smart Object. 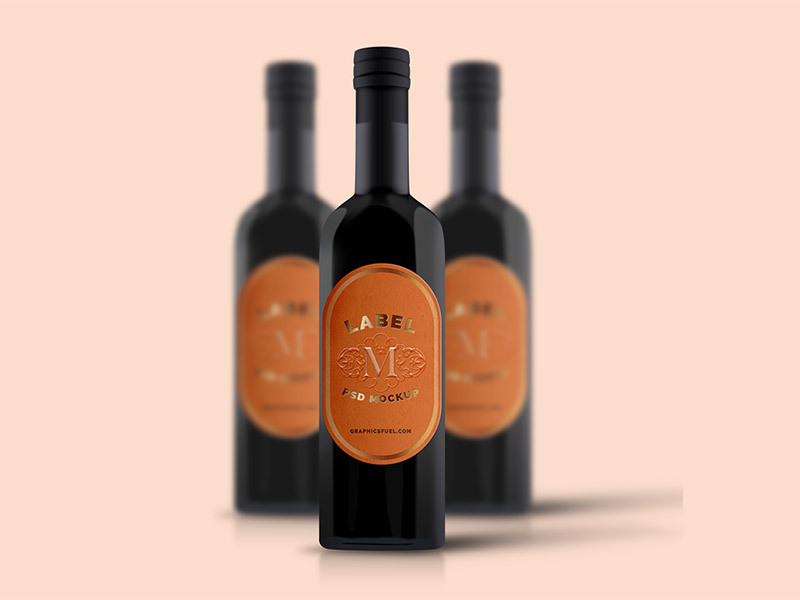 The dimensions of the label can also be changed, however due to the Warp transform, you may need to manually resize it on the bottle. 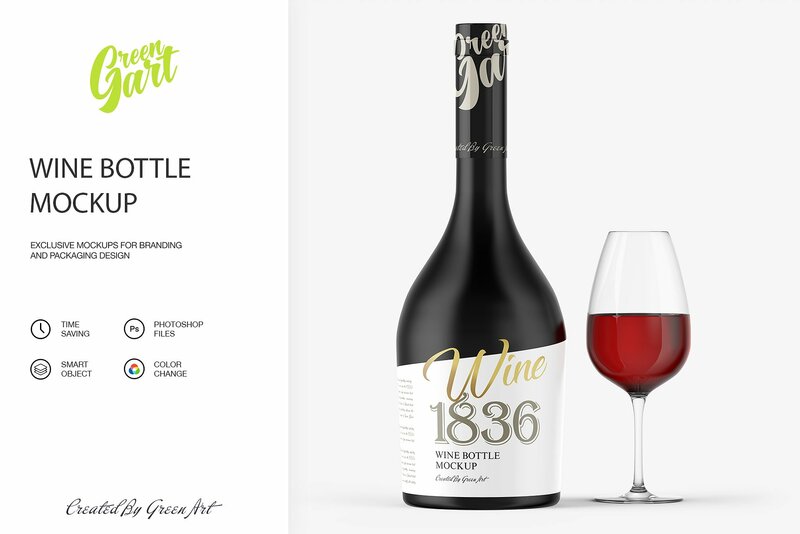 Wine Bottle Mockup in Photoshop PSD for designers to showcase wine label designs professionally and in style. 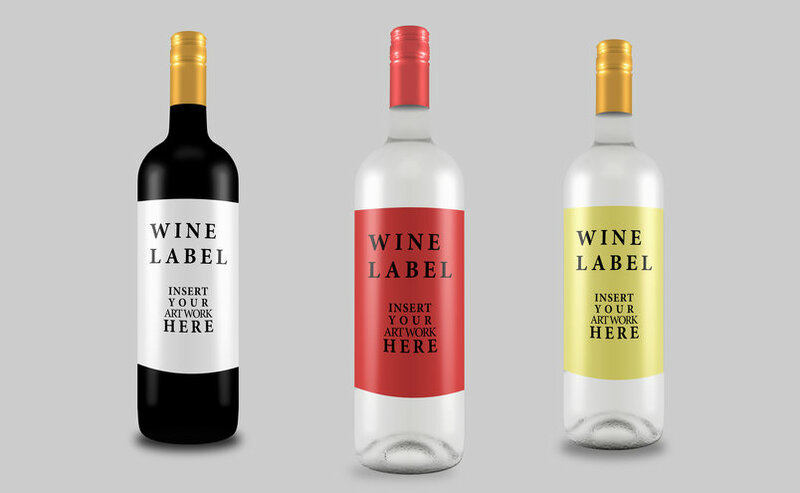 Now you can change bottle neck design and color, forms and types (paper / paint on the bottle / transparent film) of label. 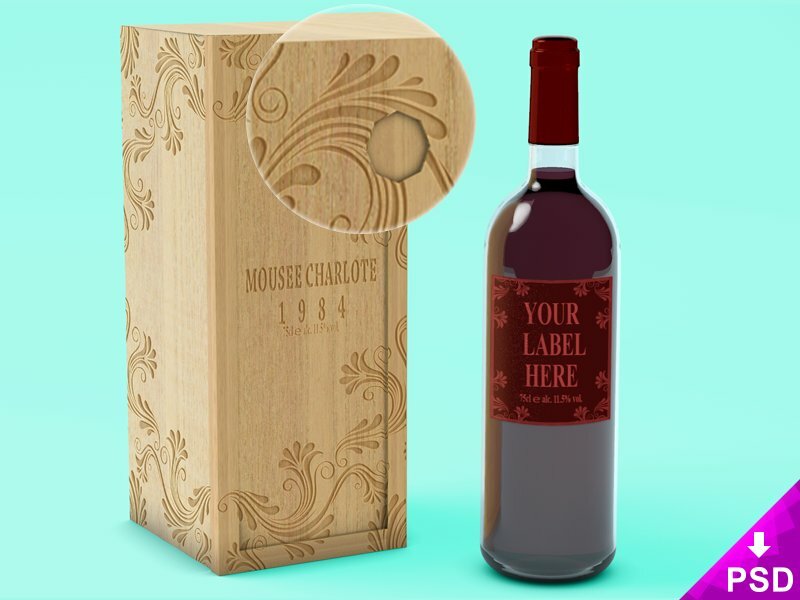 You can make UV-varnish, different texture on paper label and etc. 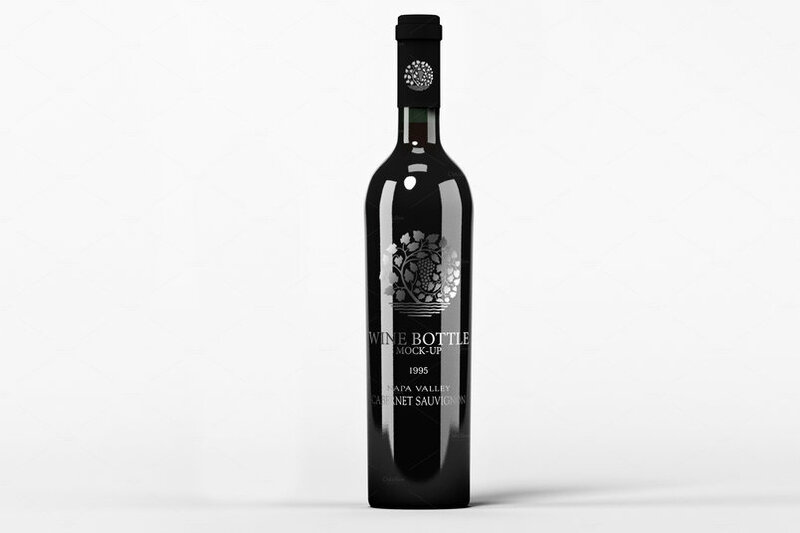 We took photo of the bottle with our label design. 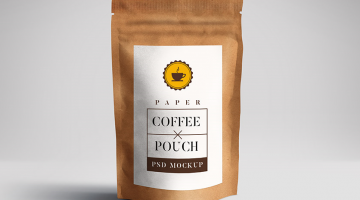 After that we made high resolution mockups as natural as it was like original. 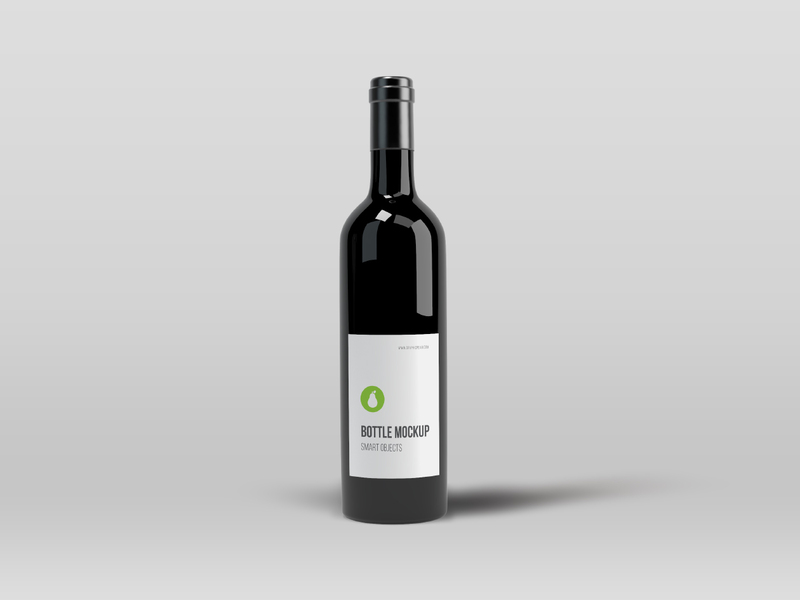 Simple a black bottle mockup with an editable smart object label; Photoshop PSD. 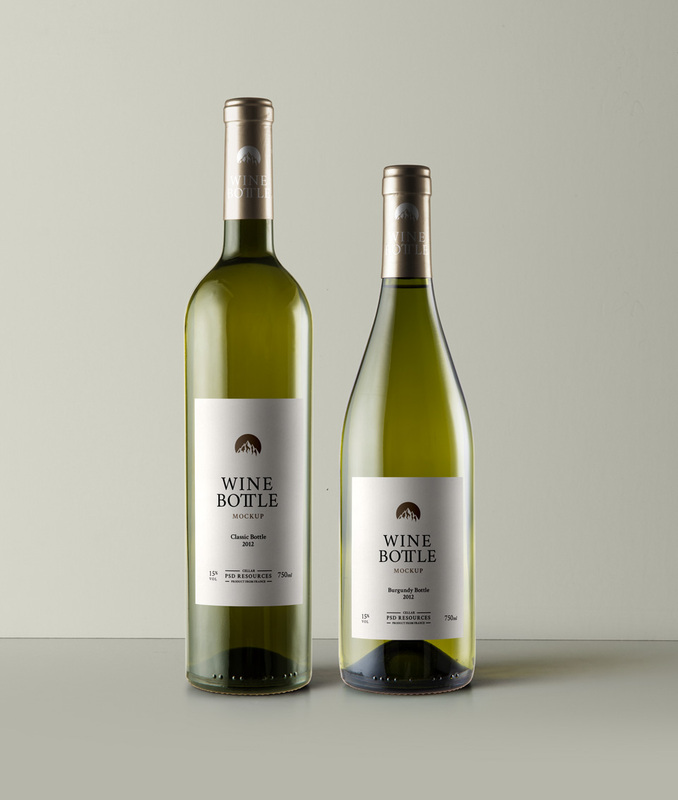 High-quality wine bottle mockups for Adobe Photoshop. 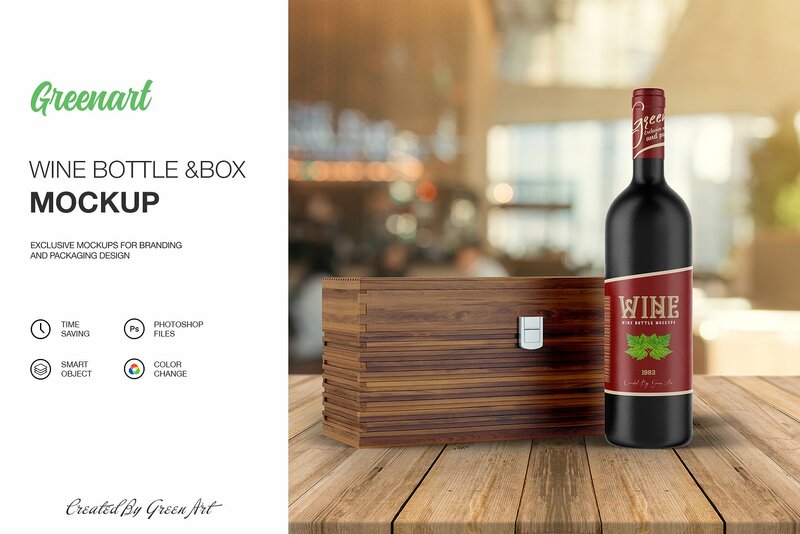 This product comes with 3 unique wine bottles with customizable options such as changing cap color and adding your own custom labels. 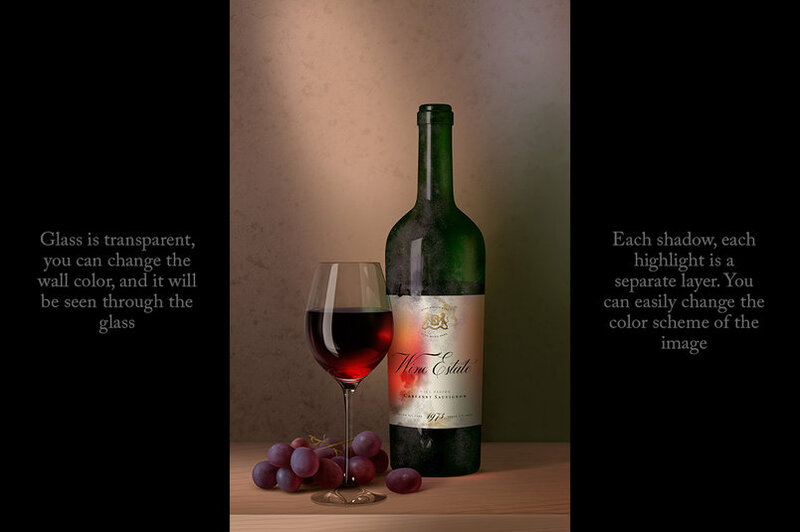 A piece of high quality digital painting in the style of old Dutch still life artworks, representing aged wine bottle, glass of red wine and a bunch of grapes. Layered, editable and simply unique. 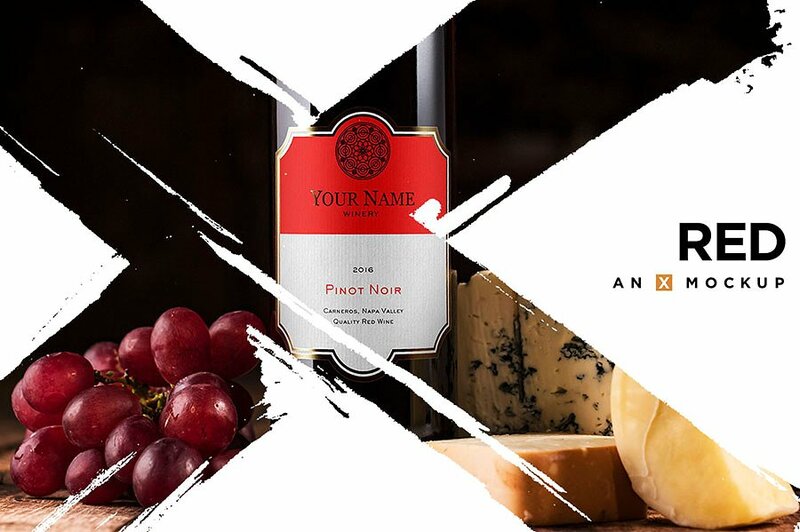 Showcase your wine label with style and professional way.edited in Photoshop to allow you to easily apply your own wine label design simply using smart object layers. 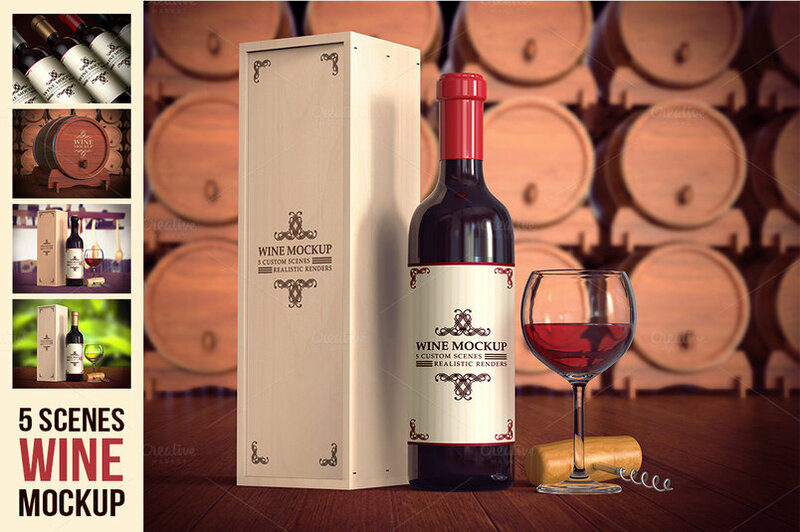 Neck color and label is also editable to fit your design you can adjust colors with single click easy to use.